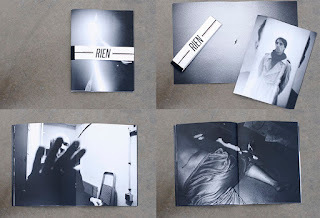 "RIEN brings together pictures from four photographers. Neither a sign nor a caption. Not a single word. These are just fragments of lives you have to deal with. Raw matter. See how the pictures vibrate through the paper, the grain fills all the space of the book, saturates all the pages."